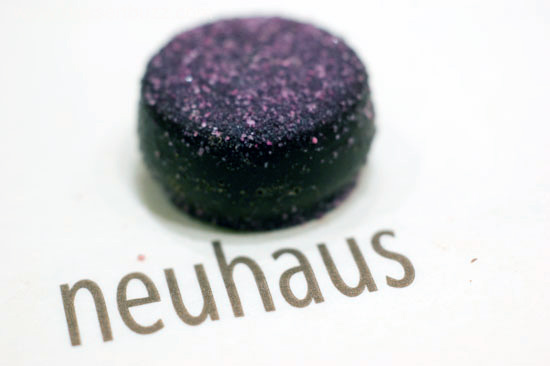 Last week I became a fan of Neuhaus chocolate. And it wasn’t just because they plied me with enough free ganache, pralines and truffles to fill a knapsack. This sounds a little cheesy but I was simply impressed with the overall classiness of their operation. 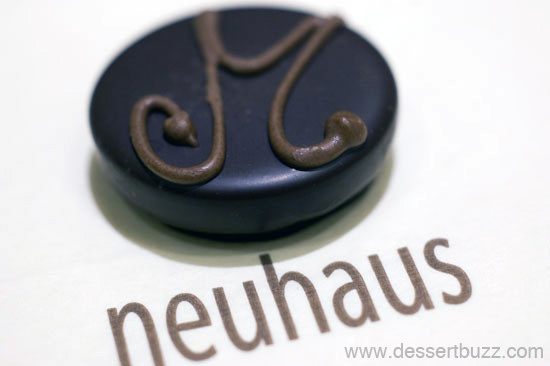 Every one of the front-line staff I spoke to were long time Neuhaus employees who knew every detail about each chocolate. The two employees behind the counter serving individual pieces had 4 and 7 years with the company respectively. 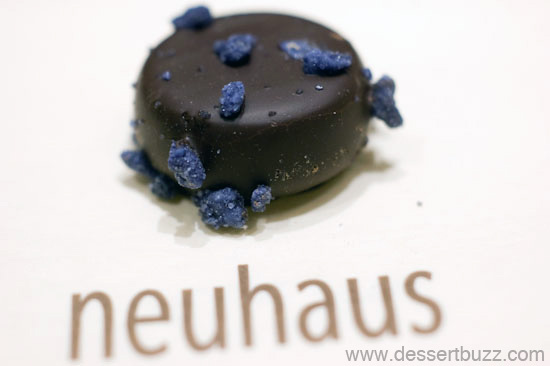 Add this to the fact that Neuhaus itself is a 150 year old company that is credited with inventing praline-style individual chocolates. 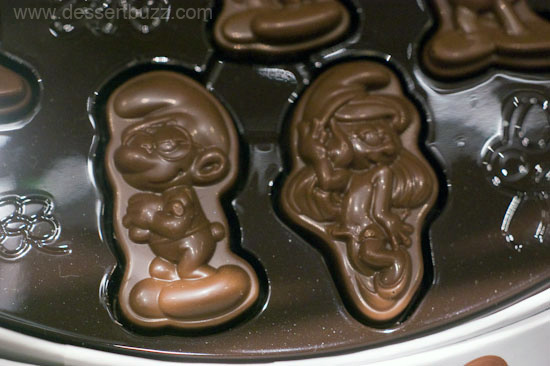 Clearly, these guys know chocolate. I was also impressed by the diversity of their offerings. 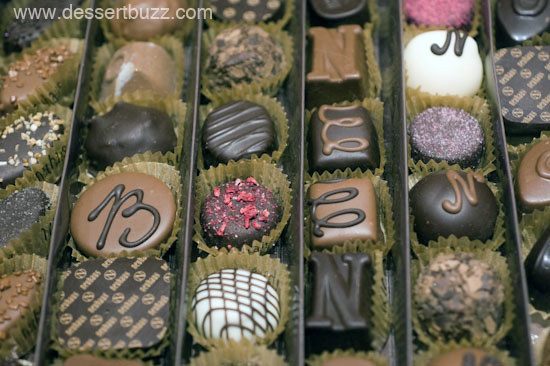 They have super-fancy box sets for over $100 and individual chocolates for $2.00-2.50. Despite the high-end feel of the shop, there was also a certain lack of pretension. 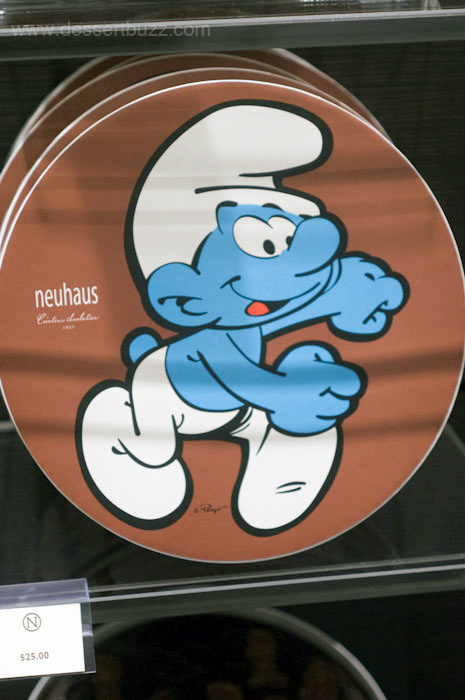 for example, they offer a large box set of Smurf-themed chocolates for a very affordable $25.00. The smaller box sets also have really attractive packaging. 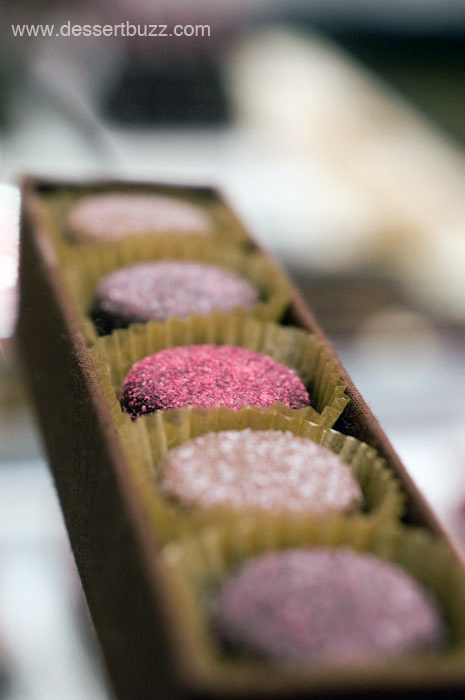 Two of my favorites individual pieces were the Madison–made especially for the opening of the new store and the raspberry ganache. 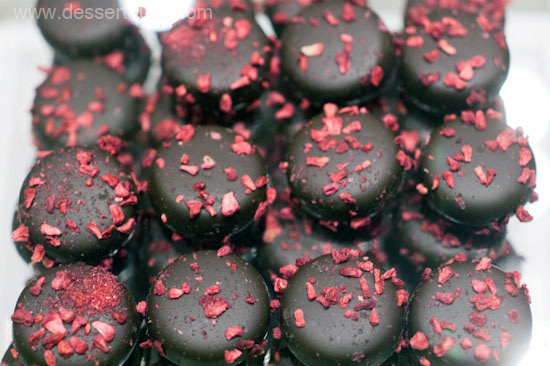 The Madison features dark chocolate filled with a paste of hazelnuts, almonds and caramelized sugar and the raspberry ganache is just what it sounds like with flecks of dehydrated raspberries on the outside of a dark chocolate shell. The only other place I have seen speculoos, besides inside these pralines, is at the Wafels and Dinges truck (it’s a Belgian thing). 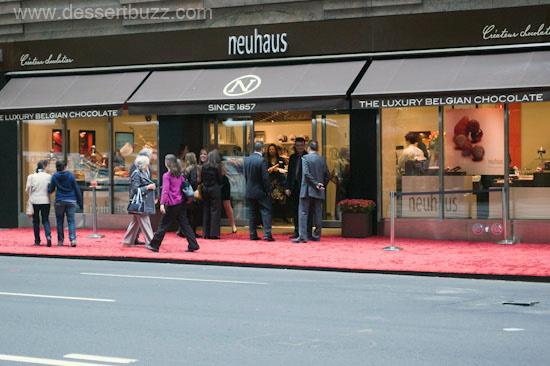 The outside of the new flagship store on Madison Ave.
you had me at smurf chocolates Now if I could just bring myself to eat Smurfette! Will have to check this out when on Madison Ave!! Thanx!! Rosemary, Tough call on which Smurf to eat first–Yeah, check it out next time you are nearby you won’t be sorry. 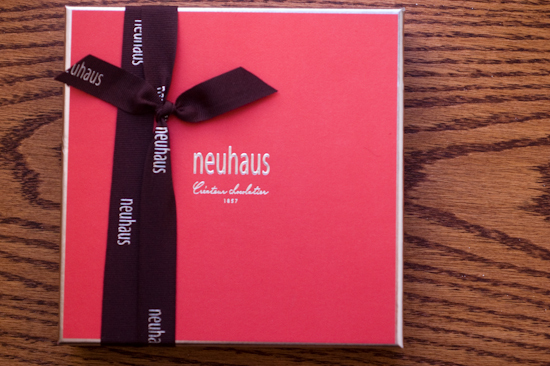 Years ago I used to buy Neuhaus for friends, then I began to buy these tasty chocolates for myself. Last week, I went to this new location & bought 4 nicely priced bars at $3 each and an assortment of bonbons. I like the variety of chocolates offered & the historical chocolate molds. 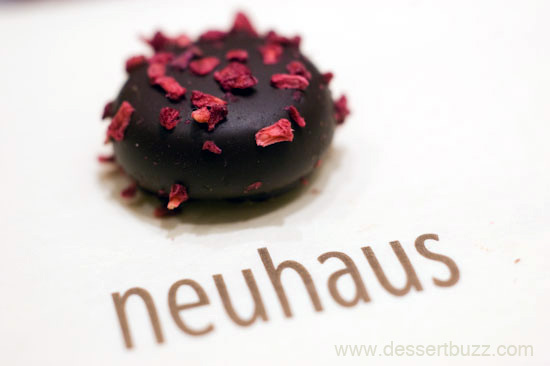 Located a block away from Leonidas will make it difficult to decide where to go – nominal pricing at Leonidas or a splurge at Neuhaus? 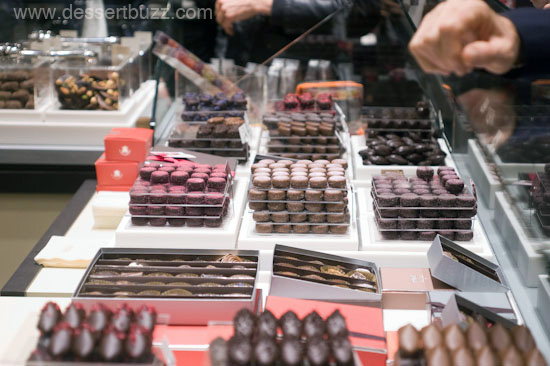 Seby, I think the chocolates at Neuhaus are very fairly priced–really they could charge more at their Madison Ave location. I would not have said this before trying their stuff first hand but now that I know the quality is first rate-I think it’s a good deal. I discovered these chocolates in Belgium and there is nothing to compare with them -nothing!! They are so delicious and beautiful! The New York- Madison store is a gift to the area! 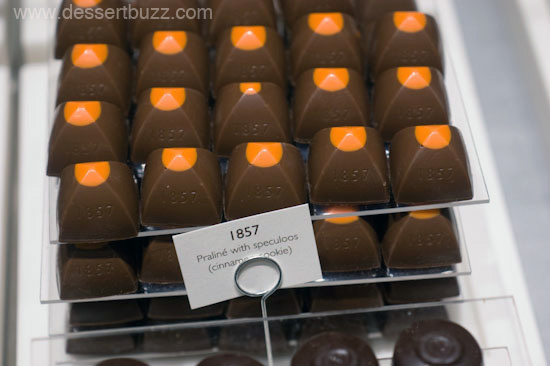 I especially love the milk chocolate pralines and hazelnuts! Andrea, I agree these chocolates are a real secret in NYC. The root of your writing while appearing reasonable in the beginning, did not work perfectly with me personally after some time. Someplace throughout the paragraphs you actually managed to make me a believer but only for a very short while. I nevertheless have got a problem with your jumps in assumptions and one would do nicely to help fill in all those breaks. In the event you actually can accomplish that, I will undoubtedly be fascinated.